We live in the era of gyms, where it’s common to make fun of people for driving ten blocks to spend an hour running in place. Whether you get your physical activity from working out, walking to the grocery store, or running for your life from a grizzly bear – physicians agree that exercise has enormous benefit to your health. There’s many ways to use 5 gallon buckets to maintin physical fitness. A full 5 gallon bucket weighs a burly 70 pounds or more so when rigged up right you can be use them for weight training. Some folks build indoor bench presses and squat stands using 5 gallon buckets as a base. In the Spartan Race in Texas, contestants heave a 5 gallon bucket of gravel up a slope. This photo by Dallas professional photographer Alex Cena shows a woman concentrating intensely on not collapsing into an exhausted heap. 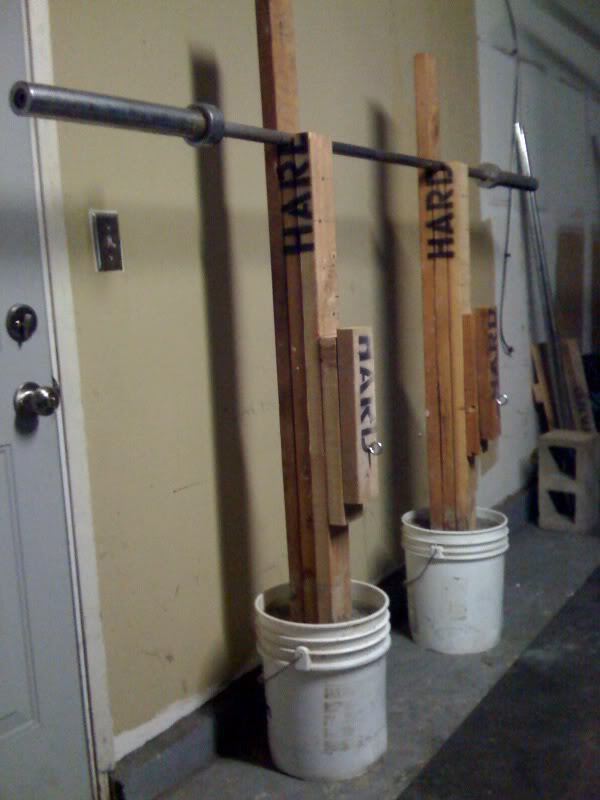 My grandpa set up lat pull downs in his garage using 1 gallon milk jugs full of sand. He later became too beefy for them to present a challenge, so he stepped it up to a pair of 5 gallon buckets. How about playing a variation of shot-put with a bucket? Get a friend and fill two buckets with equal weights of sand or gravel and hurl them across a field as far as you can. Furthest bucket wins. Buckets are durable enough to stand up to punishment like this, and cheap enough that it’s no big deal if they don’t. Anyone up to helping me start the first annual bucket games? I’ve already got a great logo picked out. 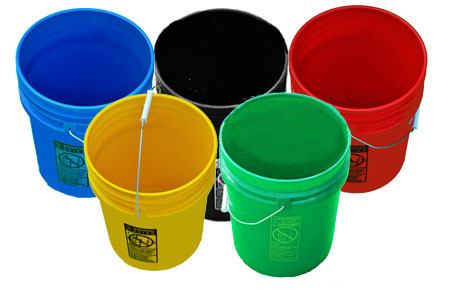 Buckets aren’t strong enough to hold up to being filled with sand and thrown across a field. Especially not competitively. That’s awesome picture of girl with bucket!